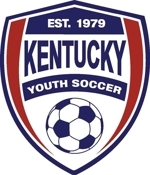 You are invited to the 25th KY Lake Invitational Youth Soccer Tournament! Registration is now open for the 25th consecutive Kentucky Lake Invitational tournament. With the assistance of Calvert City (co-sponsor) we are looking forward to a great weekend (May 1 and 2, 2010) of celebration and games. In addition to the normal tournament activities we are planning special activities, vendors, and entertainment to celebrate this marvelous milestone. The tournament host application has been posted on this website and registration is open for both teams and participating officials. You can go to the tournament website located at www.WeLoveSoccer.org for more details. In the meantime, questions can be directed to me at Edwardskm@MCHSI.com. Make plans now to visit us in Western Kentucky, enjoy the lakes and sights, relax, and have fun for the weekend. Looking forward to another fun tournament in May. Check the website often for more information on the activities and additional information.